The Board for Orthotist/Prosthetist Certification (BOC) is replacing the outdated paperpencil exams with the cutting-edge Computer Based Testing (CBT). Exams are offered for Orthotist, BOC-CertifiedTM (BOCOTM), Prosthetist BOC-CertifiedTM (BOCPTM), Certified Orthotic FitterTM (COFTM), and Certified Mastectomy FittersTM (CMFTM). CBT will be available four months of the year at more than 150 test sites close to your home or office. Save time, travel, and money. The College Park Venture features precise engineering for performance that suits any lifestyle. Venture integrates highperformance function with a customizable design that is comfortable--all day, everyday. Venture comes 'fully loaded' with a 30-day trial period and the best warranty in the industry. Now, Venture's Sealing Boots are offered free of charge! The Sealing Boots interlock with the foot shell, keeping debris away from the foot. Life's a venture--live it. Now you can purchase the full line of JUZO products--including compression stockings-- through any of SPS' three Distribution Centers. Juzo, a leading provider of high-quality compression therapy garments, and SPS have agreed to expand distribution to include the full line of Juzo products for the benefit of customers and their clientele. Effective immediately, SPS customers may order Juzo support stockings, compression stockings, arm sleeves, hand gauntlets, knee supports, ankle supports, and shrinkers along with all their other material and product needs direct from SPS. Juzo garments are known worldwide for their comfort, durability, therapeutic benefits, and optimal aesthetic appeal. Realastic Prosthetics & Restorations, a division of Health Related Products Inc., has developed a new foot insert called SensiTouch. 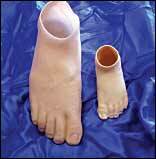 This new partial foot insert is ideal for diabetic patients, and, indeed, all sensitive tissue applications. Dewey Yeargin, president, says, "Partial feet are still available with carbon fiber foot plate, in silicone, and in PVC for all zipper applications. It's just a great addition to what we feel is already a great value-added product." If ordering in silicone, this foot with SensiTouch insert is still available in 24 colors. SPS is pleased to announce immediate availability of the NEW LP Symes, manufactured by Freedom Innovations. With clearances under two inches, the LP Symes accommodates the lower build height requirements of Symes amputations, while providing superior energy storage/return and a smooth rollover. Manufactured of carbon graphite material, the LP Symes is a very lightweight (average 295g) prosthetic solution for amputees needing an extremely durable yet highly responsive foot alternative. The LP Symes is designed for K3 amputees weighing up to 365 lbs. and is available in sizes 2230 cm in nine stiffness categories. The OTS liner is made from high-quality, platinum-cured silicone that resists odor and bacterial build up. The OTS has a coating, replacing the traditional material cover. This allows the liner to slide easily on itself, but still seal for use in high-vacuum applications. The OTS is available in seven sizes, three different designs, and can be ordered with or without a pin attachment. The OTS liner can also incorporate a lower-durometer distal cup for sensitive distal ends. The softer distal cup is in contact with the skin and surrounded by the higher tear-resistant material. NeuroStretchTM Orthotics, the next generation of NeuroFlex technology, includes the new products: Finger Flex WHFO, ROM Knee Orthosis, and Air Knee. All NeuroStretch Orthotics have inhibitory properties and provide Low Load Prolonged Stretch Therapy while the patient simply wears the device. All products feature washable liners treated with Bacti-Ban, an antimicrobial agent that keeps the orthoses cleaner and odor-resistant for the lifeof the product. For the same price, don't immobilize a contracture with a static brace --provide NeuroStretch Orthotic Therapy to restore lost range of motion. 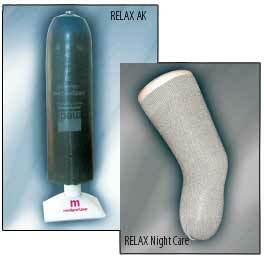 SPS is pleased to announce the expansion of the RELAX Liner family, to include the RELAX AK and the RELAX Night Care. Use of either the RELAX liner, the first liner designed specifically to reduce phantom pain and phantom sensations, or RELAX AK liner in combination with the RELAX Night Care, provides the first 24-hour solution to relieve phantom pain, phantom sensations, and idiopathic residual limb pain. A soft top band on the RELAX Night Care allows for comfortable, undisturbed sleep and non-slip fit. The RELAX AK has reduced length elasticity and higher cross elasticity to meet the specific needs of AK amputees. All products within the RELAX Liner family are distributed exclusively by SPS. 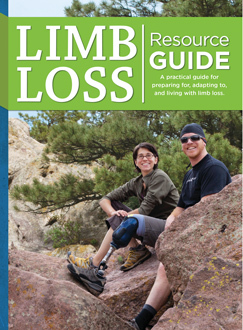 It is important for both amputees and prosthetists to try different knees and evaluate which product is most suitable. Ossur now offers a new free 30-day trial period of the Total Knee® 2000 and the Mauch® Gaitmaster Low Profile, allowing more time to make the best decision. The Total Knee 2000 is a polycentric knee with a unique, patented geometric lock, adjustable stance flexion, mid-swing shortening, and three-phase hydraulic swing control that combine to increase stability, ideal for those who need to walk freely at home or at work. The Mauch Gaitmaster LP offers durability, performance, and stability. Its robust design, stance control, and cadence response is ideal for people engaging in high-impact activities. Are you seeking a high-performance Symes component that is lightweight and robust? Freedom Innovations introduces the LP SymesTM. With clearances under 2 inches, it accommodates the height requirements of Symes amputees while providing superior energy storage-and-return and exceptional ground compliance. The component is lightweight (291g) and extremely durable. 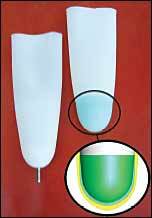 A direct lamination cup keeps the distal mass of the prosthesis favorably light. The LP Symes is designed for K3 and K4 amputees weighing up to 365 lbs. Stiffness is customized to patient weight. The LP Symes is sold with a 60-day trial period and 36-month warranty. For treatment fees from $1 to over $25,000, CareCredit offers a comprehensive range of payment plans including 3, 6, 12, & 18 Month No Interest and 24, 36, & 48 Month Low Interest Payment Plan options, and is currently at work in more than 45,000 practices nationwide. 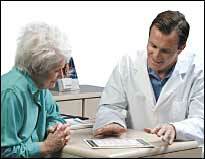 CareCredit Payment Plans can increase your practice's revenue and profits! Tamarack Habilitation Technologies Inc. developed the new ClevisphereTM Ankle Joint for Becker Orthopedic. This free-motion joint, featuring a spherical hinge, is available from PEL Supply. Made from a precipitation-hardened stainless steel for enhanced durability, each Clevisphere joint can rotate about any axis within a 24° conical range. This variability allows automatic co-alignment and accommodates tibial torsion joint alignment without binding. It also features an adjustable stop, and a self-lubricating bearing needs no maintenance. 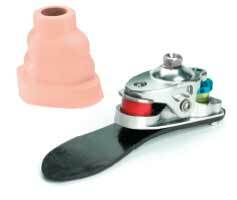 The Model 747-L Kit includes two ankle joints, molding dummies, mounting hardware, and ShearbanTM Cosmetic Patches. 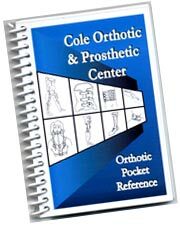 Custom insertion or substitution of specifically tailored orthotic illustrations, company mission statements, etc. The Magnum Heavy Duty System provides a complete socket-to-foot solution. Designed to support 350 lbs., the system offers three toe resistances, two heel heights, a 24-month warranty when purchased as a kit, and three different connector options. 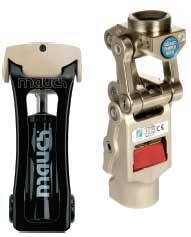 Magnum components can also be purchased as individual units. Extensive, in-house field testing conducted on the Magnum components focused on durability and reliability. When combined with engineering tests, the Magnum Heavy Duty Foot The system is remarkably lightweight, and the foot features a slim design and lifelike cosmesis. Many practitioners are asking for a high-quality, less-expensive knee sleeve in the wake of managed care and reduced reimbursements. Knit-Rite's answer is the epX! Lightweight and breathable, the epX is a nice alternative to neoprene, causing less skin irritation and perspiration. The material is waterproof and will not absorb perspiration, improving garment hygiene, and reducing odor. 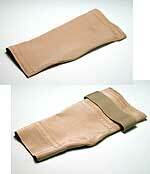 Both heavy-duty sleeves feature a contoured design for free patella movement. 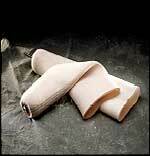 Silicone bands are incorporated to secure the sleeve to the prosthesis, as well as the thigh. 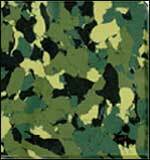 The inner lining material consists of durable, abrasion-resistant spandex lining for maximum wear. Available in two styles, both sleeves are available in eight sizes. Effective immediately, SPS' price for an Alps' EasyLinerTM locking liner has been reduced to include a savings of 20 percent. The new pricing structure applies to all sizes and configurations of the popular locking liner version of the EasyLiner (ELDT). The unique combination of softness, strength, and elasticity of the ALPS EasyGelTM is formulated into the EasyLiner to provide comfort and durability never thought possible. 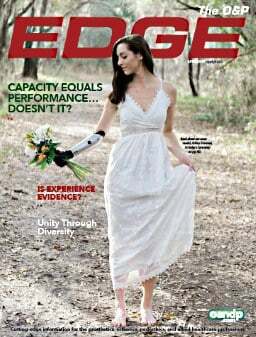 The lower coefficient of friction found only with the EasyGel is utilized in EasyLiner models and enables amputees' skin to be relieved of any shear forces. A new EVA material, available in 2, 3, and 5mm, Multiform is a unique PE foam for a number of orthotic applications. It is especially suitable for difficult foot problems, including those of athletic nature, and it can be used with sports devices. Multiform has been proven to be an outstanding protective cushion layer in both orthotic and prosthetic applications, especially as a socket liner and for lining orthoses. Other colors available: white, flesh, blue, and red. Available in perforated and unperforated sheets.